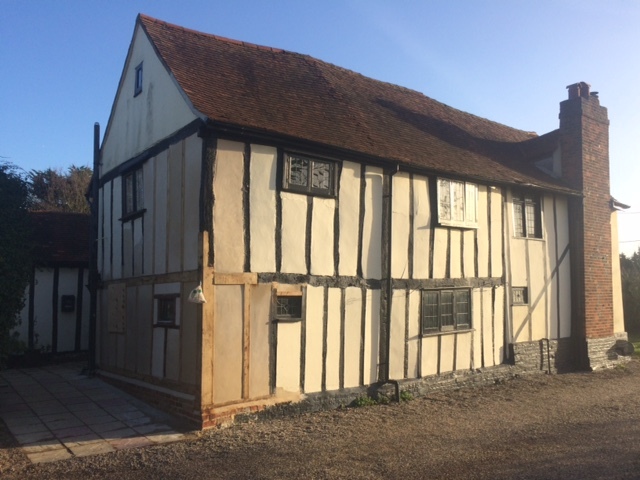 This Page discusses some of the issues that can arise with owning a listed building, with a case study at the end (work yet to be completed!) 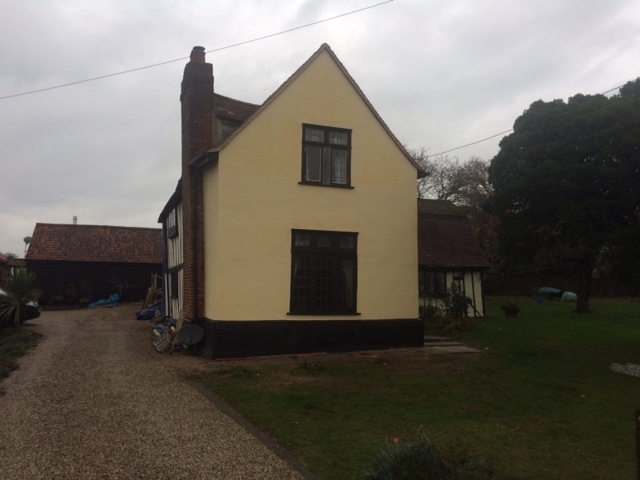 dealing with my own property: Coxes Farm, Billericay, Essex. Those interested in this can hop directly to it using the “Practice” link below. Note that while I’ve mentioned the various companies involved, I’ve not named the individuals themselves. Back in the 1960s, planners had the idea that modernism and the need for progress justified the wholesale destruction of what is now known as England’s “heritage” – basically the vernacular buildings that had survived from earlier ages, possibly because those who owned them, and the communities they lived in, had not been able to afford to replace them earlier, as the prosperity that had enabled their construction had moved elsewhere. This short-termist error – what is totally destroyed cannot be recovered – has been replaced by a contrary approach, which is to make it very difficult to change – and certainly to replace – any building that has been listed as requiring conservation. This seems a necessary corrective. However, it needs to be managed so that there will continue to be those willing to live in these buildings and take on the pleasurable burden of maintaining them. It is important to note that most listed buildings are not Great Houses, but fairly humble dwellings that have historically been inhabited and maintained by humble people who had the skills – or who had neighbours with the skills – to keep them in a reasonable state of repair. No doubt there’s a Darwinian element as well – those ancient buildings we still have are those it was possible – maybe because their initial construction was sufficiently well-done – to keep standing with the continual repairs so necessary on any building, but particularly those timber-framed structures made of material particularly subject to decay. To some degree, anyone buying an old building knows what they are letting themselves in for. Friends will have warned them not to do it. They will see evidence with their own eyes of movement within the structure over the years, the sloping floors and leaning walls, the numerous ad hoc repairs, and be amazed at how the building is still standing. However, they will have taken the usual precautions. They will have had a full structural survey undertaken, which will doubtless have generated a shopping list of repairs, but which will have assured them that the structure is basically sound; or if it isn’t will have given them the ammunition to get the property at a knock-down price. They will have checked that no illegal changes have been made since the listing, and may even have insurance to cover the costs of enforcements that they could not have reasonably been aware of. They will know that they have a duty to maintain the property and will have persuaded themselves that they have the funds to undertake whatever maintenance or authorised development projects they have in mind. Of course, some of these assumptions and assurances may turn out to be baseless. The insurance of a listed building is an important and sometimes difficult matter. Maybe the new purchaser will have been warned before purchase, but as this is still a relatively small cost, in the overall context of the cost of maintaining a listed building, will have been unperturbed. Property insurance is geared towards rebuilding cost, and the likelihood of an insurable event arising. The rebuilding cost of most houses is much less than their market value, but this tends not to be the case with listed buildings, where specialist craftsmen – a rare breed charging a premium – are required to make repairs, which have to be made using traditional methods and materials and approved by the local Conservation Officer. So, you need a “specialist insurer” who understands this, and will pay out1 for the work should it be required. In general, self-insurance is best if you can afford to bear the loss, as it avoids the frictional costs – admin and profits – that insurers necessarily add on. It also avoids the inflated premiums brought about by serial claimers who like things “just so”. So, you insure against perils that – should they transpire – would leave you unable to bear the cost of repair or replacement2 following an accident of some sort. However, most people can’t afford to replace their primary dwelling from their own funds. The real issue is not so much with the premiums, but with the cover, in particular the weasel words “wear and tear”. When we come to whatever perils you might imagine your property is insured against, that’s where surprises may be in store. Clearly, both house and contents have elements that wear out and need repair or replacement, and you wouldn’t expect insurance to cover that. But the purpose of insurance is to cover you for rare events that you can’t self-insure for. Some of these are clearly defined and insurable – namely fire, flood (outside of flood-plains), heave and subsidence and the like. What is not covered are catastrophic events that are caused by events that insurers classify as “wear and tear”, because they are gradual processes that carry on in the background but which may ultimately lead to a catastrophe. 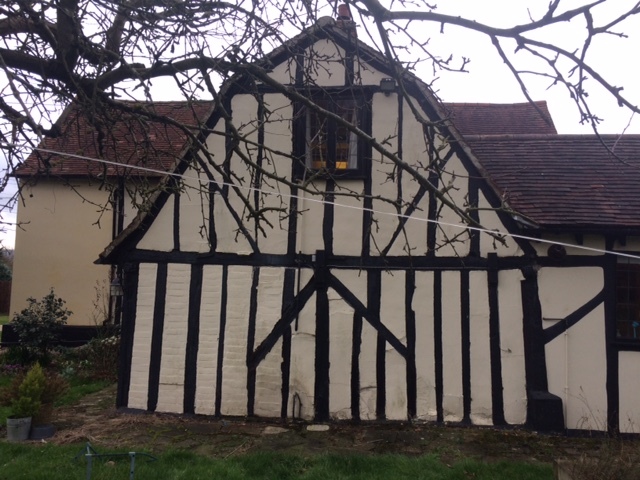 Old timber-framed houses are knitted together so that they maintain their integrity, more or less, but over the years the structure moves about, numerous repairs and ties are applied so that ultimately a tipping point may arise and the whole building might fall down like a pack of cards if a key element fails. Such an event – which might result in a total loss that the owner has a duty to put right – would not be insurable. Nor would many lesser catastrophes. For example, my house has a chimney up one side that leans out somewhat. A succession of structural engineers and surveyors have expressed confidence that it’s not going to fall over any time soon. But no-one knows whether it’s being held up by a tie to the main frame, or whether the main frame is pushing it over a bit. But if it were to fall over, that’d just be hard luck; insurance wouldn’t pay out unless it happened in a storm, earthquake or fire or the result of some external impact. If the tie finally rusted away – or whatever gradual process reached its end – that’s not insurable. It seems that if the chimney fell over and landed on someone; that person could claim against the insurance, though I have my suspicions that “failure to maintain the property” might be raised as an escape-clause. But how are you to know that such an event is secretly going on? I might add that once some unpleasant event happens to your property, obtaining or keeping insurance may be difficult. Even though insurers don’t take themselves to be liable for “wear and tear” events, they can take fright and void your insurance – on the grounds that you’ve not maintained your property in good condition, or not given them accurate information. The only response to the possibility of some events is to “hope they don’t happen”, given they aren’t covered by insurance, but having no insurance at all leads to other problems, as we will see. Say some disaster overtakes your property that requires extensive repairs. How do you fund them? Well, you might have the funds readily realisable in cash, investments or other assets you could sell. But if – like me – you’ve already pretty well emptied your pockets buying, renovating and maintaining your beloved home, this might not be available to you. So, the obvious options are grants, loans and litigation. Grants: I’ve not pursued these on the grounds that my house isn’t a national treasure, I’m not a pauper, and therefore ought to be a long way down the pecking order, as no doubt I am. Also, it’s my responsibility to maintain my property, and it’s my asset at the end of the day, and I see no reason why the government, local authority or other sources should bail me out. I’m particularly averse to the use of lottery funds for such purposes where the poor, who mostly provide the funds, get no benefit. Finally, even if eligible, there appears to be a long queue for grants, the approval process is even more complicated than usual in applications for funding, and all this has to be gone through before work can commence, which may not be practicable if the property is in a perilous state. Loans: this ought to be fairly straightforward. There would seem to be three obvious options: equity release, a repayment or interest-only mortgage from a bank and peer-to-peer lending. Equity Release: This sounds fine; you can get the cash and don’t have to make repayments over a punishingly short3 period of time, though you have to watch out for the interest roll-up. If you can get equity release in a form where you can pay the interest – or can set up a vehicle to do it once the penalty period is over – that would suit fine. Unfortunately, relatively few lenders want to lend on listed properties, and those that do impose higher interest rates than those available on modern properties. But the real killer is the state of the building. If you’ve just encountered a major problem, even though they may value the property – even in its current parlous state – at a very conservative multiple of 8 or so4 above the lending amount, they will not lend at all until you’ve had the property fixed. This is Catch-22, if you can’t afford to pay your builders5 without the loan. I can just about understand this for equity release. After all, the plot is that you’ll let the interest roll up, but there’s no guarantee – they might think6 – that you’ll use the released cash to repair the property, so that when you pop your clogs, the asset might be worth less than they might have hoped. Also, even listed properties in a good state of repair are difficult to shift, for reasons apparent in this discussion. Mortgage: Again, this looks superficially promising. Of course, it depends on your income, so is not an option available to everyone. It also depends on the age of the borrowers, but less so than in the past. Time was7 when the loan had to be repaid by age 70, but not so any more. But it does have to be repaid other than by the sale of the property if you want to carry on living there: so, it needs either to be a standard repayment mortgage or one to be repaid by an endowment policy or the equivalent. Again, time was when you could hardly get a fixed rate mortgage, but now they are all the rage. Someone is obviously betting on interest rate futures as it seems easy to get 10 years fixed at 2.5% on a repayment mortgage. So far, so rosy, though repayment mortgages obviously depress your standard of living more than interest-ony equity-release. Unfortunately, there’s the snag just noted in that regard. Those dangerous beasts “the Underwriters” might not like to lend on a dubious property, irrespective of the fact that the repayment and capital risks are tiny in comparison with loans to first-time buyers. Peer-to-peer lending: There are at least two forms of this – the commercial form (investors wanting to get more for their money, which now appears to have the banks lurking in the background) and loans from friends and family. I’ve not checked out the former, but suspect interest rates and frictional costs will not compare well to loans from banks; the latter is not open to everyone, and is an uncomfortable arrangement8. Expense: These cases are not straightforward, so have to be undertaken by an expert with an hourly rate of £250 + VAT, or thereabouts. In addition, a non-conflicted technical expert will be required to write a report, likely cost £4k + VAT. Then there are court fees if it gets that far. Risk: The main risk is making a bad situation worse. If the claim comes to court, and you lose, you will be liable for the defence costs and the escapade may cost £60k. Even if you get a solicitor willing to take the case on a “no win no fee” basis, you’re still liable for the defence costs. Even if you win, you’re at the mercy of the judge as to how high the damages might be. That said, there might be an out-of-court settlement, so it might be worth having a go if it seems a clear case. Normally you’d get “competing quotes” for a major job on your house, but there are difficulties with this strategy for listed buildings. As already noted, these are specialist jobs, so most contractors fail to qualify for the job, even if they should want it, which is often not the case. Sometimes investigative work is required before the scale of the problem can be determined. Prior to this, competing quotes are meaningless as they usually involve escape clauses for unexpected “order of magnitude” shifts in costs. Once a contractor has invested in the investigative work and covered the house in scaffolding, it may be awkward and expensive to jump horses. Like-for-like comparison is complicated by the scarcity of qualified contractors. Competitors – even if interested – may be at a disadvantage if they have to travel long distances during the contract. Some firms act as lead-contractors and take on the co-ordination. Others are specialists in one aspect of the project, but won’t take responsibility for the whole job. So, you might be – realistically speaking – “stuck with” the local expert firm, expensive though they may be. Of course, this may be fine, but you are reliant on their good-will rather than market forces to keep the costs in hand. There needs to be the option of insuring against insidious “wear and tear” events with unforeseen catastrophic effects. Cover against major unaffordable risks is what insurance is for. I don’t think that this can be a standard policy feature, as it would likely be expensive and not be affordable for all. Also, some listed buildings are more liable to such events that others. Brick-built buildings might be liable to subsidence or heave, but these risks are already standard. Timber-framed structures are less subject to such risks, but have no compensating cover under current policies. No doubt this policy would require an up-front survey, chargeable to the customer one way or another, and cover might be refused – in which case it would be evidence against your surveyor who presumably gave the property a clean bill of health. What can’t be the case is people living with a risk they can’t afford to bear and “hoping it doesn’t happen”, if there’s any alternative – which there ought to be. Given the need for a vicious circle to be broken, the possibility of a “bridging loan” to allow listed buildings to be repaired would certainly help. This would need to be backed up by government cash – as commercial lenders are already reluctant – but all that’s asked is a short-term loan, on the presumption that a commercial loan can be found once the repairs have been made. This hasn’t been belaboured above, as it’s a well-known gripe from the listed building community, and is the subject of much parliamentary lobbying. While it would be “nice”, I’m not 100% convinced it’s a justified concession in the current economic climate. It probably depends on whether such a concession is necessary to ensure that listed properties are not left unrepaired, and therefore put at risk. As usual, a “one size fits all” benefit is simplest to administer, while means-tested, or other situation-dependant benefits still lead to the occasional inequity and no doubt would add to the timelines and uncertainty. But “subsidising the rich”, as this can be portrayed, is neither popular nor fair. In any case, there’s nothing doing until we leave the EU as European law seems to forbid tinkering with the VAT rules. This tale of woe may be of little interest to, and invoke even less sympathy from, those struggling to meet their mortgage payments, or paying exorbitant rent while queuing for their first step on the property ladder, but I think it raises some important questions about the maintenance of our ancient heritage. It’s to do with the structural surveys, insurance and maintenance of listed buildings discussed theoretically above. 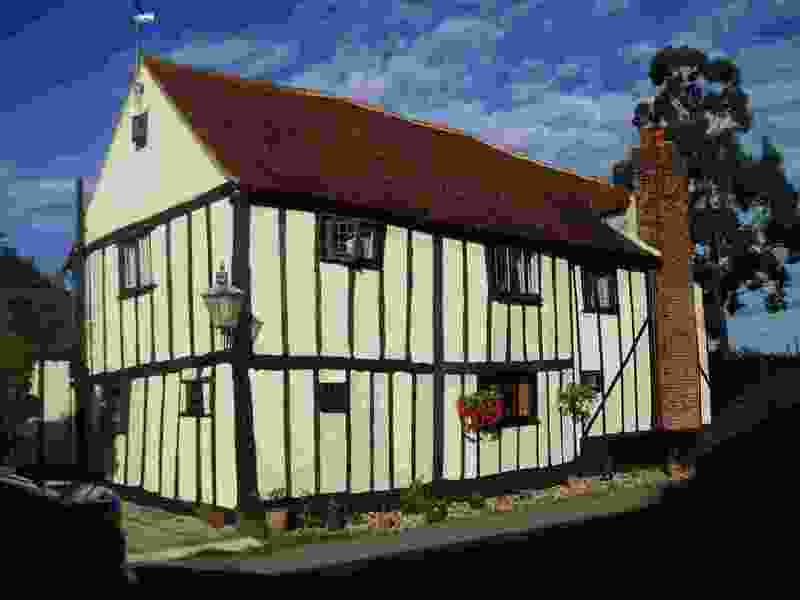 Coxes Farmhouse10 is a Grade II Listed timber-framed building that – according to the Listing – hails from the 16th century, with an extension at the front added on in the 17th century and a kitchen added at the back in the 1980s. The oldest part looks rather crazy, with leaning walls, and the upper floors either ski-sloping or with a hump in the middle. “Too many beams” according to some, but we fell in love with it immediately, and spent quite a sum over and above the purchase price strengthening floors, replacing the electrics and plumbing, making the attic and the spare bedroom habitable, converting the stables into my library and a guest suite and generally sorting out the half-acre garden and pond. 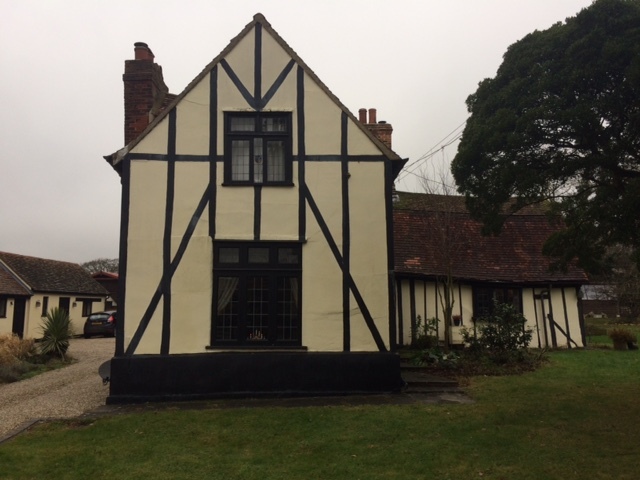 We had a full structural survey undertaken prior to purchase, and retained the surveyor as architect to effect the repairs and improvements11 and manage the relationship with the conservation officer at Essex CC. 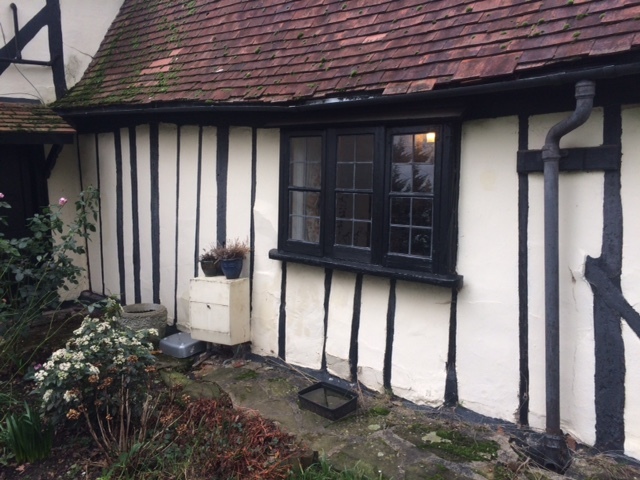 All was going well, more or less, until the end of 2017, though there had been the usual niggles with such properties: the back wall let water in if the wind was in the wrong direction – fairly standard for timber-framed houses with infill panels that don’t consistently fit well throughout the seasons. Unfortunately, just before Christmas 2017 a crack appeared in the corner at the front of the building. See some photos here. This 17th century extension, we’re now all too painfully aware, is basically a fairly flimsy timber-framed structure with brick infill that had originally been lime plastered, but had subsequently been repaired and plastered over with an impervious cement render on an iron mesh matrix presumably sometime in the 1960s. The iron mesh had started to rust and the timber frame had basically rotted away. This wasn’t raised as an issue by our surveyor whose report – while pointing out many items requiring attention – failed to mention the risks associated with covering timber frames with impervious membranes. We attempted to get our then insurance company – NFU Mutual (https://www.nfumutual.co.uk/) – to consider a claim, but there was nothing doing. To get them to come round at all we had to suggest that the crack might be due to subsidence, but it was not. It was down to “wear and tear”. We got The Morton Partnership (http://www.themortonpartnership.co.uk/about-us/) (structural engineers) to undertake a survey, but they could not determine the true cause without invasive work, which they could not do without the assistance of contractors. We did consider McCurdy & Co (https://mccurdyco.com/) to do the work in conjunction with Mortons, but they are based in Reading, and the co-ordination, lines of responsibility and logistics looked too difficult to manage, so in the end we employed Bakers of Danbury (http://bakersofdanbury.co.uk/) as a “one stop shop”, as lead contractor but with their own staff in the main, a decision we’ve not regretted. Bakers’ original suggestion was to rebuild the entire front of the house, taking off the front portion of the roof in the process, but this would have been far too expensive. So, we reached a compromise whereby a structural engineer from RichardJackson Engineering Consultants (https://www.richardjackson.uk.com/) drew up a plan to replace the front façade and the returns as far as the side chimney to the left, and a similar distance the other side, while supporting the floor joists and the roof with acrow props. While the rest of that part of the frame suffered some of the same problems, they were not to the same degree. The infill to the right was “criss-crossed” less by rotten timber and was in any case sturdier with less of a load to bear. The small area of wall beyond the chimney to the left was in rather poor condition, but again its load-bearing responsibility was fairly minimal. The excavation holes in these areas were simply filled in – “hardened” with brick and cement where necessary – and left (rather optimistically) to a further phase. For the investigative work, here are links to some photos: the first investigations in April 2018 and the more invasive investigations in June 2018. At the beginning of this stage, we attempted to obtain funds by Equity Release, using Equity Release Supermarket (https://www.equityreleasesupermarket.com/), but while the situation originally looked promising, our broker could – in the end – find no lenders willing to take on the risk with the house in its then state of (so-called) disrepair. The interest rates were exorbitant in the current financial climate as well. However, we did eventually manage to obtain a repayment mortgage – subsequently expanded and extended – with HSBC. This phase of the work – solely to the front of the house, and the vast bulk of the repair work that was originally envisaged – was achieved more or less within the original budget, though not to schedule as the glorious summer months ticked by while the 3-month statutory consultation period for listed building consent expired. Talking of which, Basildon CC was happy to sign off on a fairly vague application submitted by Bakers that requested “like for like” repairs to the frame. They were happy to leave the details in Bakers’ hands, such is their reputation for probity in such matters. What was not “like for like” was that the brick infill was not replaced (though those bricks that could be reclaimed were retained for repairs to the plinth and for subsequent work elsewhere on the house). Also, after the frame had been built and the lath-and-lime-plastering completed, the painting with lime-wash couldn’t replicate the faux-beam effect that had been the case before. The paint would smudge. The poor state of the timbers is revealed in the photos taken in September 2018 as the repairs were underway. The rebuilding work features in the earlier part of the set of photos taken in October 2018. The front façade “as was”. The faux beams are painted on, but roughly follow the underlying timbers. As noted, there were known issues with the house that required fixing over and above those remarked upon above, which we’d not anticipated and which had now been fixed. The first of these issues was the “leaky wall” at the back. When this was investigated by Bakers, the situation was found to be even worse than had been the case with the front. The bressummer beam that supports the ceiling joists was found to be rotten through, and partially filled in with expanding foam, painted over to disguise the “repair”. Also, the sole plate had disappeared and the two corner posts – and all the studs – were rotten at the base, and in the centre for the right-hand post. Finally, one of the oriel windows had to be re-made. This time some of the original timbers and in-fill were retained, though the plinth and ¾ of the wall, and part of the right-hand return, were renewed. The investigation is photographed in the latter part of the set of photos taken in October 2018, while the “damage” and the repair work for the rear of the property features in the set of photos taken in November 2018. The final stages of the rebuilding, and the finished product, appear in the set of photos taken in December 2018. An old photo of the rear / side of the property. The third phase of the project is currently being re-quoted for by Bakers in the light of experience on the first two phases. This is the wall on the “garden” side of the house which has always looked the most rickety. See the photos taken in January 2019, which also show the rotten rear timbers and the completed rear of the property. The end-wall. The centre post is partly hollow and the sole plate - being below ground - is doubtless 'gone'. We are currently preparing a legal case against the surveyor who failed to warn of – or pick up on – the many grievous problems with the building that – had they been determined – might have deterred us from purchasing Coxes Farm – or at least greatly reduced the price we’d have had to pay. We’ve had positive advice from a barrister and an equally positive draft report from an “Expert Witness”. Further details must await the successful prosecution of the case. A full timeline of photos – already referenced above in sections – showing the damage and repairs appears on this page here. “Out of the box” insurance policies cheerily announce “rebuilding costs up to £1m”, but as soon as they find out that’s what the rebuilding cost might be, they refuse insurance outright. It is said – anecdotally at least, though no doubt it depends on the attitude of the local conservation officer – that if all – or sometimes “more than half” of a listed building is destroyed – in a fire, say – that the listing would be revoked and the owner of the property would then be entitled to replace it with any building subject to the normal planning regulations. Since the rebuilding cost of a modern building is much less than for a listed building, the rebuilding costs on the policy for a listed building ought to be about half what they are made out to be, since only half would ever be rebuilt and rebuilding the whole as a modern building would be cheaper still; but as there’s the element of doubt about local authority policy, I suppose they can’t be. A non-listed building of comparable size would be worth much more than its listed equivalent, so this is an incitement to arson. Thankfully for Britain’s heritage, arsonists tend to be found out and end up living in more confined quarters. This applies mostly to contents insurance, where premiums are based partly on claims made by those who throw red wine on their carpets when they feel like a change. I’d never claim in such a situation as it’s disruptive having carpets changed, and then I’d worry about the cat scratching them and both the cat and the dog occasionally sicking or pooing on them. But that’s a foible, and – financially at least – it’s prudent to claim for one’s stupid blunders, as these tend to be “insurable events” – whereas other disasters over which you had no control may not be. Eventually, of course, carpets wear out and have to be replaced – but that’s “wear and tear” and quite rightly you can’t claim for that. This discussion relates mostly to older property-owners who paid cash for their property, possibly with a small mortgage for improvements. Younger people with a large mortgage are probably in a spot of bother as they may now be in negative-equity territory. It seems odd to say that they are undertaking a “valuation” when you are asking for such a small proportion of the value. You’d have thought a “drive by” would do, but what happens is that a surveyor comes round and pours over every nook and cranny. My builder has a warning in the contract that the company reserves the right to charge 5% above base rate for late payments. That would be super, as a last resort, but in general builders’ cash-flows won’t allow it to carry on for long, and I suspect downing of tools, followed by litigation would follow from attempting this financing option. Indeed, they claim that they don’t care what you spend the money on – other than that you must tell them what it is so they can satisfy the anti-money-laundering legislation. That, of course, is so they can say they’ve checked 99.99% of their customers in this regard, focussing on those who don’t know what money laundering is, of course. Back in 2012, in fact. Say you run into difficulties and can’t repay the loan or keep up the interest payments? How will your relationships with friends or family fare if they have to repossess your house – or within their family if they don’t (witness DI Thursday in Endeavour)? This section is somewhat “work in progress” and the information is gleaned from discussions with a couple of solicitors rather than being based on in-depth research. At the end of 2010 my employer – HSBC – and I parted company on amicable terms when I took early retirement with the intent of pursuing my interests in analytic philosophy. I was left with a fairly comfortable pension after an earnest though not particularly distinguished career in the IT department of the HSBC Investment Bank and Head Office. Having extracted the tax-free 25% from my pension fund and added it to my various investments, I noted that this pile of cash was about twice the value of the rather humble dwelling that I’d been too busy to worry about while working. So, rather than fret over the ups and downs of our investment portfolio my family and I agreed to find our dream home in the country – or as near the country as Billericay affords – and purchased the main house and some outbuildings of Coxes Farm at the end of 2011, though it took another 6 months to sell our old house and make our “new” one habitable. This will be the subject of a further Note in due course, though the photographic record is scattered about on this page here. All-in-all, this programme of work went well and achieved our aims within our budget. Timestamp: 07/04/2019 10:09:50. Comments to theo@theotodman.com.